It all started with a knot in her left breast. Within no time it grew to the size of a tennis ball. 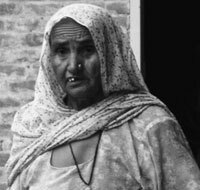 In pain, 40-year-old Raj Rani went to the doctor in her village in Punjab’s Ferozepur district. Finding no relief, she started doing the rounds of government hospitals in Ludhiana and Faridkot and then a private hospital in Bathinda. Shelling out money at hospitals was not easy with a non-earning husband and sons bringing home little as small-time mechanics. By this time, a year had lapsed and Raj Rani’s health started deteriorating; she had stopped eating and had no hope of surviving. 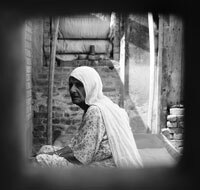 “If you want to live, go to the hospital in Bikaner,” told her neighbours. With no option, she undertook a 10-hour road journey to Bathinda to board the train to Bikaner in Rajasthan, another nine-hour journey. Doctors at Acharya Tulsi Regional Cancer Treatment and Research Center (RCC) removed her left breast and gave her chemotherapy. Three years later, Raj Rani sits patiently at the door of the hospital’s cancer out patient department for further check-ups. “Correct treatment has kept me alive,” she says. Every district in Punjab is brimming with cancer cases. The Malwa region of Punjab, a cotton-growing belt, has the highest incidence of cancer in India, admitted Montek Singh Ahluwalia, deputy chairperson of the Planning Commission while releasing the plan for states for 2012-13. Malwa region comprises the southern districts of Bathinda, Faridkot, Moga, Mukhtasar, Ferozepur, Sangrur and Mansa. Absence of reasonable and quality treatment in Punjab forces hundreds of cancer patients to travel from faraway places to make a beeline for RCC, one of the 18 regional cancer research centres in the country. 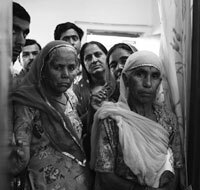 In 2005, Down To Earth had reported the inadequate and expensive treatment for cancer in Punjab (‘Cancer train’, June 1-15) when Delhi non-profit Centre for Science and Environment (CSE) tested the blood samples of people living in Bathinda and found unacceptable levels of pesticides in them (‘Residue of a revolution’, Down To Earth, June 1-15, 2005). Seven years later, government has done little to make treatment for cancer available in the state. 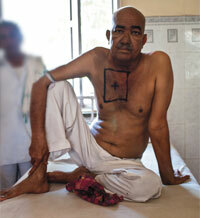 Patients like Raj Rani still rely on the distant Bikaner hospital. Bathinda, the hub of cancer in Punjab, has no facility to treat the disease in its civil hospital. Patients have to choose between small private hospitals and the super-specialty Max Hospital. The hospital was built in November 2011 on government land through public-private partnership after government understood the cancer threat in the state. But the hospital is run privately. It has the latest technology and equipment and the treatment bill can shoot up to lakhs of rupees. “One chemotherapy session costs Rs 1.25 lakh. Treatment for pancreatic cancer can cost Rs 3.5 lakh,” says Manjinder Sidhu, oncologist at the hospital. Patients in the state decide against the Centrally-run Postgraduate Institute of Medical Education and Research in Chandigarh because it takes months to get admission there. Eighty-year-old Karnail Singh and his wife Balbir Kaur, both cancer patients from Jhajjar village in Bathinda, opted for RCC. “Doctors in Bathinda robbed me,” says Singh. They kept getting the same tests done. Each time it cost Rs 1,400. A farmer, he took loans for the initial treatment of his wife’s uterus cancer and his stomach cancer. Treatment at RCC added extra years to their lives. Balbir’s surgery and Karnail’s radiotherapy were done for free. Medicines were also free. Investigations are cheap—Rs 50 each for biopsy and x-ray and CT scan. MRI costs about Rs 1,200. The state government counters people’s allegations of poor facilities with a list—a brachytherapy machine at Government Medical College and Hospital in Patiala, a radiotherapy machine at Sri Guru Gobind Singh Medical College in Faridkot and a cobalt source machine at Sri Guru Ram Das Institute of Medical Sciences and Research Centre in Amritsar. But these are not enough. The number of new cases from Punjab remains high, says Ajay Sharma, director, RCC. There has been no decline in the number of follow-up cases either. 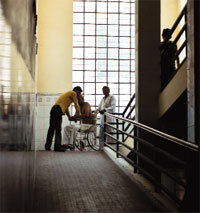 In 2009, the hospital received 6,138 new cases and 45,357 follow-ups. In 2010, there were 6,295 new cases and 45,189 follow-ups. In 2011, new cases reduced to 5,787 and follow-up cases to 43,189. 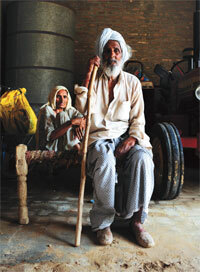 However, the percentage of new cases that come from Punjab remains the same—60 to 70 per cent, says Sharma. To generate data on the magnitude and pattern of the disease, the Indian Council of Medical Research (ICMR) set up the national cancer registry programme in 1981 with centres at Mumbai, Bengaluru and Chennai. But the programme failed to yield results. After high incidence of cancer cases were reported in Punjab, in 2010 the Centre asked the state to maintain a separate registry. It was only in November 2011 that Punjab started maintaining such data. The drawback in the programme was that cancer cases that came only in government hospitals were to be reported. On October 18, 2011, the state government made it mandatory for all public and private hospitals, pathological, clinical and radiological labs and medical institutions imparting medical education and providing diagnostic or treatment facility for cancer, to report all cancer cases to the pathology department of Government Medical College in Patiala. The college sends the data to ICMR for compilation. While Punjab government is still trying to reach a conclusion on the link between pesticides and cancer, in 2009 a German laboratory tested hair samples of autistic children in Bathinda and found uranium, a carcinogen, in them. Uranium concentration in 520 water samples from Bathinda, Mansa, Faridkot and Ferozepur ranged from 2.1 µg/l to 644 µg/l. In 92 water samples from remaining 13 districts—Taran Taran, Moga, Barnala, Sangrur, Ludhiana, Fatehgarh Sahib, Mohali, Ropar, Nawanshehar, Hoshiarpur, Gurdaspur, Amritsar and Pathankot—uranium content was between 0.1 µg/l and 153 µg/l. However, the studies could not link the presence of uranium in Punjab water to high incidence of cancer. Epidemiological studies are required for the purpose. According to the new registry, between December 2011 and June 2012, Patiala recorded 1,131 cases—highest in the state—and 74 deaths. The highest mortality was in Bathinda with 99 patients dying within six months. But the numbers give just a fraction of the disease burden in the state. “In Patiala the number of cases is highest because the registry is located here,” says Manjit Singh Bal, professor and head of pathology department in Government Medical College, Patiala. He also heads the registry programme. Doctors at faraway places do not bother to send data, he says. “They find filling forms a waste of time,” he adds. Taking suo motu cognizance of media reports on rising cancer cases, in August 2011 the National Human Rights Commission (NHRC) asked the Punjab government what steps it had taken to check the problem. The state government submitted two reports—on September 20, 2011, and February 27, 2012—saying it had banned 20 pesticides in Malwa and withdrawn their registrations. But it did not mention the names of the pesticides or the crops on which they were used. Pesticide suppliers do not even know of the ban. “There is no government ban on pesticides,” says Chaitar Singh, a pesticide supplier in Chaina Bazar, Faridkot. In the second report to NHRC, principal secretary, health and family welfare department, accepted that use of pesticides “was on the higher side in Malwa region on account of growing of cotton crop. But in the last four to five years, its use has reduced because farmers have switched to Bt cotton which requires 20 per cent of the pesticides used for earlier cotton varieties”. State government data contradicts the statement. Reduction in pesticide use has been negligible in the past few years—from 5,975 tonnes in 2006-07, it came down to 5,690 tonnes in 2010-11. Jarnail Singh, a farmer since 1970 in Bathinda, says between 1992 and 2004 pesticides were extensively used on cotton crop. When Bt cotton was introduced in 2004, there were no pests in the first two years. But new pests started attacking soon and farmers resorted to extensive pesticide spraying. In July 2011, the Punjab government entitled all cancer patients to get Rs 1.5 lakh for treatment from the chief minister’s fund. 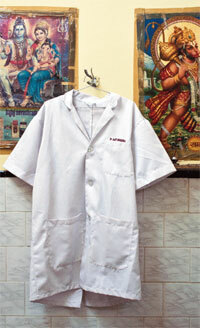 Till May 2012, it has spent over Rs 30 crore to treat 3,329 patients. But the scheme is of little help because the amount goes directly to the hospital where the patients get treated. “We have to purchase all the medicines,” says Amarjit Singh. He buys injections for his younger brother who has stomach cancer. 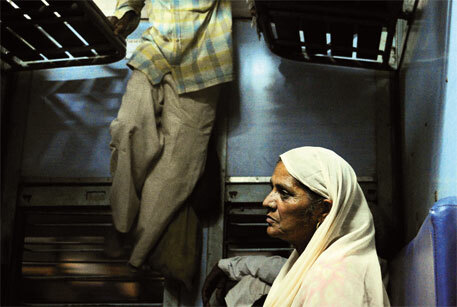 “One injection costs Rs 25,000,” he says as he waits at the Bathinda platform to take the train to Bikaner. 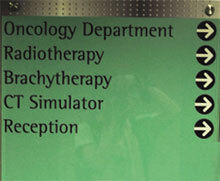 Max Hospital has treated 90 patients for cancer ever since the hospital started. Of these, 40 applied for money under the scheme, but only 24 could avail the privilege. Four of them passed away during treatment. Promises made by political parties carry little meaning. In January, the state government announced it would set up a cancer hospital in Bathinda. The four main parties in the state—Congress, Shiromani Akali Dal, Bharatiya Janata Party and People’s Party of Punjab—for the first time included the issue of high cancer incidence in their election manifestoes. But residents are not convinced. “These were hollow promises just to win votes,” says Amarjit Singh. “Waiting for people to get the disease and then offering them treatment is not the answer,” says G P I Singh, dean of Adesh Institute of Medical Sciences and Research in Bathinda and convener of Environmental Health Action Group, a non-profit. “We need to map the entire state to find out why the fatal disease is occurring,” he says. It seems that no one can misunderstand the crisis of scientific agriculture more than the highly trained agricultural scientist himself. This is really a very serious problem,not only in punjab but also in many states. The solution to overcome this problem is general awareness of the villagers whom drink contaminated water continuously and used variety of pesticides and fertilizers for their fields to get better yield.As more and more states in the country follow the agricultural practices adapted by punjab, including hybrid seeds, pesticides and chemical fertilizers, fears are being expressed that" what happens in punjab today could happen to the rest of the country tomorrow".